Buckeye Game Fest is a convention that takes place for five days in the Columbus area. 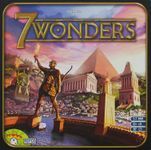 It is put on by the Columbus Area Boardgaming Society (CABS) group who are the ones that provide the lending library for Origins, so there are tons of great games present that can be checked out. As I am now living in the area, I joined the CABS group which meant that I got free admission to the con which was less than a 10 minute drive from my home. but I was able to meet and game with lots of cool new people; many of them CABS members that I look forward to playing with in the future! I missed the start of BGF on Wednesday cause I had class until 8, but Thursday I was able to show up around 4pm. Dem wasn't able to make it so I thoroughly checked out the place then awkwardly hung around hoping to see a group of people looking for players that wanted to play something I was interested in. I saw a group of three that were just finishing up a game of Lords of Waterdeep with the Scoundrels of Skullport expansion and I was curious what the expansion added to the game so I hung around looking and asking questions. 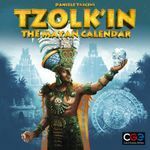 As they had just finished up one of them (Dan) had just bought Tzolk'in and was looking to play it so they invited me to join them. I was the only one that had played before, but I'd only played once so I was in no shape to teach it. Thankfully someone that really liked the game was hanging around at the time and helped teach it to us. I did pretty abysmal the first time I played (at least compared to my friend that had played it numerous times before), so this time I tried to correct my mistakes. First game I pretty much ignored crystal skulls and didn't really build up religion until the end which means I didn't score too many points. This time I focused a bit on skulls and made sure to work on god favor throughout the game so I got more points and actually got some resources! I ended up coming in first and felt like I improved drastically from my first game. Tim and Dan are big fans of Castles of Burgundy and were looking to play it with some new maps Dan had printed off so they suggested we play that next. Given that I've heard it touted as the best Feld game numerous times and that I enjoy The Speicherstadt and Trajan a lot, I was very enthusiastic to try it. I loved it. Much more intuitive than Trajan and still meaty, but pretty approachable (aside from the iconography). Given that Tim and Dan have played a lot, they were playing on difficult maps while Bob and I got the easiest maps since we were new. I randomly ended up last to start the game out and remained last for the entire first three rounds. It was a bit frustrating watching all the great/rare tiles go way before I even had a chance to touch them, but I decided to make due with farming as nobody had an inkling to touch them even though there was two pretty nice chicken tiles out. Given that I was last most of the game I ended up with no mines at the end and had no endgame scoring yellow tiles as all the good ones were snatched up before I had a chance to get them. Where I got all my points was in building everything, and quickly. I tore through farms and had all mine covered up by the end of the second round, I think. One yellow I had managed to nab let me build the city tiles for one more or less so once I set to filling those in I was able to work to chain them with grabbing/placing tiles and tear through them with my modification before even having to used workers. I had built adjacent to pretty much all the sea tiles before even laying a ship, I believe, so I was open to take them at my leisure later in the game when people cared less and was able to throw them out there pretty quickly. This also afforded me some nice goods since I wasn't seeing competition then. I got the large bonus for light green, grey, and blue, and even completed the dark green, but did that after all the bonus tiles were out. I pretty much completed about all that I could do with something like four whole turns left in the game (I skyrocketed to almost 200 while others where back at ~120). I had filled up all my spaces but yellow and mines, and had one yellow placed in a three yellow section. I spent the rest of my turns eking out as many points as possible and was able to net something like another 6 by barely completing the one yellow section on the very last turn of the game. It's a good thing too as endgame scoring bonuses skyrocketed Dan to tie with me (I only had a single point in endgame bonuses from my two workers I had left over). Awesome game. Definitely will have to own it at some point. I arrived Friday afternoon and Dan found me relatively soon after I arrived so we sat down for some gaming. He still had LoW and the new expansion on him so we decided to set it up and put up a cone to let everyone know we were looking for another player. Before long we were joined by Jonathan and settled into a 3p game. I was the lord that scored for Warfare and Skullduggery quests. I tried focusing on them but got sidetracked when I completed a Commerce quest that gave me 4 money just for drawing Commerce quests and in the end only half of my completed quests counted for my lord. I was falling behind by a good chunk so I picked up a 40 point quest with something like only 2 rounds left in the game in hopes that I would be able to pull it off so I might win. Not only did I manage to do so, but I was able to pull off playing four of my Intrigue cards for another 16 points by giving another player 4 coins and another 2 black cubes as well as force both Dan and Jonathan to draw another corruption giving them each -6 points. These moves rocketed me to first place with 205 points with Dan and Jonathan actually tying with 195 points. All in all, I was happy with the expansion. It's not enough to make me buy LoW, but I do think I'd prefer if my future plays of it were with the expansion only (even with new people I feel like it doesn't up the complexity so much as to be unapproachable). After LoW Jonathan left, but Dem and his BIL Phil had showed up so we decided to play something with them. 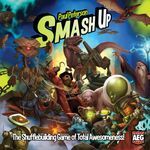 Dan couldn't play anything longer than two hours so we settled on Smash Up. We drafted factions and I ended up with Pirate Aliens while Dan got Zombie Dinos, Dem got Robot Wizards, and Phil got Ninja Tricksters. The game was pretty neck-and-neck with poor Phil's Trickster Ninjas lagging behind. Dem used his Nukebot to kill a base that Dan and I had a bunch of minions on and I did a lot of damage control against the Robot Wizard uprising that was trying to overtake the game. In the end I had 14 points and Dan had 13 with a base he had loaded with Armor Steggos that was going to score at the end of my turn. We were the only two on the base, but he had so much power on it that the best I could have done on my turn was tie him in points, causing the game to go on for another round which very well might have seen the Robot Wizards eclipse our score of 16 as the zombie base was out that gave VP for # of minions on it and he already had started loading it up. Given that Dan needed to leave and eat before an event he had going, I decided to concede the game and let him win with 16 to my 15. I had watched a Rahdo Runs Through on this game and was very interested in trying it out so I sat down with Dem and Phil and taught them how to play. It was a rather quick and easy affair, especially after watching the RRT. We ended up playing a 4p game as a guy named Arthur wandered by and asked if he could play too. He had played before and he ended up killing us in score though Dem and I weren't too far behind him in completing objectives. All in all, I thought it was a blast and I immediately wanted to play again. Sure, the main mechanism is basically Bingo, but the decisions you face when picking objectives are pretty challenging and legion placement can be as well. For a game that seems that it will pretty much top out at 30 minutes for the teaching game, I was very happy with it and actually bought a copy at the con. After Augustus, Dem wanted to play 7 Wonders so we checked out the CABS copy and sat down to 3p game of just the base game. I ended up with tons of resources and luxury goods that let me do pretty much anything. I ended up owning war, getting one set of science, building a couple of guilds, and all the stages of my wonder to win by 7 points. There was a 2R1B event scheduled for 10-midnight that night so Dem and I went over after our 7W game. They were in the middle of a game and had been playing with cards as they were supposed to be given a set to play with by the designers, but they accidentally got the date wrong. Thankfully, I had brought along my copy and left it in my trunk in case it was needed so I went and grabbed it and we played three games with my PnP cards. The second game was pretty hilarious. 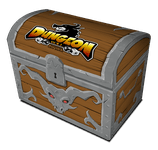 We played with Dr/Engi, Mummies, Mimes, Negotiators, and the Gambler. I was dealt Red Mummy and decided to bluff Negotiator R1 to try and get co-reveals. I cursed one of my own teammates and got the Gambler when I then decided to bluff being cursed the rest of the game and stopped talking. It was about halfway through the round when we realized how quiet the room was. I found out that one of the few left that could talk rightfully guessed that both Mummies started off in our room when a kid came over and motioned for me not to co-reveal with the other Erin in the room. Turns out she was the other mummy and bluffing being cursed too. Game goes on, I get a couple other people and we're bounced between rooms. Round 5 the Gambler is sent to my room and he looks to me to see if I know anything to help him win. Instead of trying to mime it all I just announce to the room, "Hey this guy is the Gambler. Can anyone help him out?" I get shocked looks from everyone. One of the few people that can still talk reminds me that cursed people are not allowed to talk. I assure him that I didn't actually co-reveal with the mummy and our leader (who can still talk) takes the Gambler into a corner and tells him all that he knows. Him and another teammate had deduced the Pres/Dr combo and were able to get the win for Red and the Gambler. Our third game was pretty fun too. We played with Dr/Engi, Frotteur/Prude, and Sniper/Target/Decoy. I was the President and met with the Doctor R1. I then spent the rest of the game trying to find and help out greys (partly because we had almost dealt MI6 into the game and I had forgotten for a bit that we ended up leaving it out). Our last transfer occurs and the Prude runs over and grabs the Frotteur but I tell him he can't actually do it now as the game is over. Sniper is in the other room and ends up shooting the Prude. Bomber ends up being in my room, but it fizzles in my face! The Bomber and Engi hadn't co-revealed despite both of them being in the other room almost the entire game. Many laughs were had (not so many by Red) and it was a pretty epic and amusing end to the night. Saturday had me again showing up in the afternoon and finding Dan first thing and figuring out something to play. He had people he wanted to play with so we decided to play some filler while we waited for them to finish up. I took this as an excuse to play another game of Augustus and taught it to him and we had run through a game in no time. Nabbed bonus tiles for 6 objectives, one of everything, and the gold and wheat but didn't have too much endgame scoring outside of that. He had an objective that gave him points for purple areas and loaded up on them (there was no point limit) so I ended up winning by only 6 points when all was said and done. 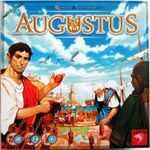 I would have been happy to play another game of Augustus, but Dan offered to teach me how to play Dungeon Roll. Given that I hadn't really touched the rules on my Kickstarter copy yet, I jumped on the opportunity to be lazy and have someone else teach me. I had the character that let me used wizards for fighters and vice versa. He had the character that started with two dice in the graveyard but rerolled champions when they defeated two or more monsters (or something like that). He wasn't able to use his ability the entire game, though, so that was unfortunate. He went first and failed his first delve so I played somewhat safe the entire game. I completed all three of my delves, in part due to the fact that I would not pass up treasure and had tons of goodies to help me. I won by ten points. Overall, I thought the game was fun enough though our first play didn't have any really agonizing push your luck decisions (though I was winning by a margin pretty much the entire game so that didn't help). That also seemed to be a possible issue, once someone fails a dive, it seems the other person can play a bit more reserved and probably still win because scoring all three is probably way better than only two? Also, can see playing with more than just two might be a bit less than optimal as someone will just be sitting by watching everything without getting to roll any dice. Once we had all finished our games we had 5 so we decided to play 7W with all of the expansions. Given that I had played the other day, I decided to use this as an opportunity to try out some different strategies from what I usually do. I had a leader that gave me one VP/yellow card so I decided to go heavy into yellows. Only problem was that I only saw two that gave me VP: one that gave me another 1 VP/yellow card, and one that gave me 2 VP/wonder level. I built all stages of my wonder and was fortunate enough to get the promo wonder with the rainbow that let me copy my neighbors' wonder stages. I was able to copy my neighbor's that gave 14 VP for the final stage so I net almost 20 VP from him. Unfortunately, I didn't get much else VP so I lost. We ended up playing another game immediately afterwards. This time I got the leader that gave me two coins whenever I built something for free. I tried to go all in on blue but just wasn't really seeing the cards I needed. It was disappointing because I had the leader that reimbursed me one coin on my first purchase from my neighbors combined with both the markets, a black card that made my first purchase from my right hand neighbor one cheaper, and a black card that let me produce one good/resource that I couldn't otherwise, which was great since I only built something like two resources and only spent 2 coins buying from neighbors the whole game. All in all trying different strategies was a lot of fun even if it didn't really work out well at all. Took a break to stuff my face and watch a friend from BGG learn Chaos in the Old World. Right around the time I had finished eating Dem showed up. 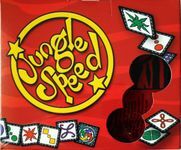 I talked him into trying 2p Jungle Speed. Quite possibly not the best choice (maybe due to lack of sleep?) as whenever he went to grab the totem he grabbed it with the hand matching my pile, not his own. Needless to say, I won. After Jungle Speed we decided to set up a game that played two but could play more and threw up a cone while we were setting up. Around the time Dem had finished explaining the rules Arthur showed up to play with us. I was the only one new to the game, but this did not stop me from steamrolling them. Due to early rolls working out well, I was able to get out all of my dice by the fourth or fifth turn and it all just snowballed from there when I got the mind control card and another that let me manipulate the pips. I was able to drop a colony pretty much every turn for something like 5 turns in a row to win, mostly using any doubles I rolled and the mind control helmet. Arthur took it away but it was too late by that point. I won with 12 to Dem's 7 and Arthur had something like 4. 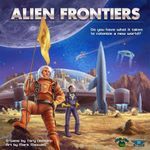 Dem had to leave after Alien Frontiers, but Arthur and I had one more game in us. We actually managed to get a full seven player game of 7W and both expansions with some of his friends. I again decided to try strategies I wouldn't normally and tried to go all in on black since I had a leader that gave me one VP/black card. I also had the leader that gave me 7 points/set of almost every card I got and I found myself spread very thin trying for both of them and didn't do very well score-wise. Worst score of the night, but still had fun trying out new things! I showed up Sunday afternoon, bought a game, and then had a couple of hours before I had to leave. I had found two people that were up for learning/playing anything (Jeff and Vince), so I decided to teach them Ginkgopolis as it is pretty easy to teach and fairly quick to play. I ended up getting quite a VP engine going (got up to 5 VP/card I played by itself), so I switched between building next to things and playing cards by themselves to net myself the most VP. I got quite a few points with the area control at the end and only had one card in front of me that gave me VP at the end so it was good that I had the VP engine going. I ended up winning by which is unsurprising for playing against two new players.